New compact CUV, going against likes of GLA, Audi Q2 and BMW X2. At the same time, also replacing the CT200h as the entry level Lexus (it is still on sale in some markets, but I doubt for too long). Revoltingly over wrought, like all other recent Toyotas. And yet it looks like a surprisingly dull version of the CHR. This is an epic mess. Interior looks decent from the video, but my god that exterior is ugly. 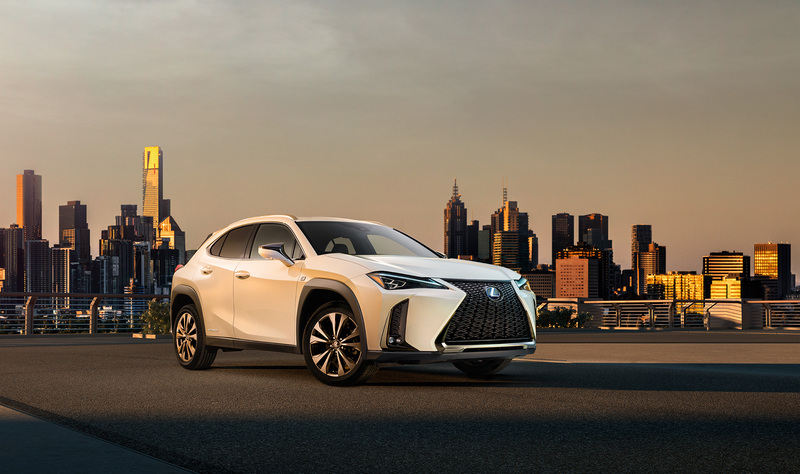 Is that the challenge with every new Lexus crossover? Make it worse looking that the last one? Maybe it's b/c of repeated traumatic exposure, but I don't find this particularly overwrought compared to, say, an Avalon. I certainly don't think it looks worse than an RX (which I find really bizarre looking). Hope Lexus makes some improvements to its infotainment, which apparently is among the worse (in terms of usability) in the industry (surprisingly for a Toyota). Isn't it time that Lexus came up with a fresh nose? I'm convinced that Toyota doesn't know how to photograph it's cars; the NX, RX, LC, and LS are much better looking vehicles in person; their attention to detail and very interesting surface interactions aren't accurately portrayed in Lexus manufacturer photos. It's hugely underwhelming after the over-adventurous Concept. I do agree with 2o6, hopefully the UX looks better in person.